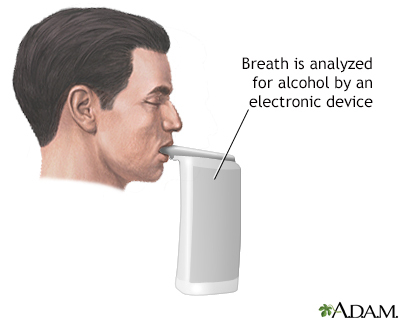 The breath alcohol test measures the amount of alcohol in the blood by testing exhaled air. The test is performed by blowing into a breath machine 15 minutes after alcohol consumption. The test determines how much alcohol it takes to raise the blood-alcohol level to a dangerous level.